Whether driving by via I-95 or following the northeastern part of Connecticut’s Wine Trail, Stonington is worth making a car stop. This town still reflects its agrarian days with lush green fields and colonial era houses lined with stonewalls, with its founding dating back to the mid-1600s as a trading post. With two lighthouses, Stonington encompasses a number of villages including Pawcatuck, Stonington Borough, Lords Point, Wequetequock, and the eastern halves of Mystic and Old Mystic. 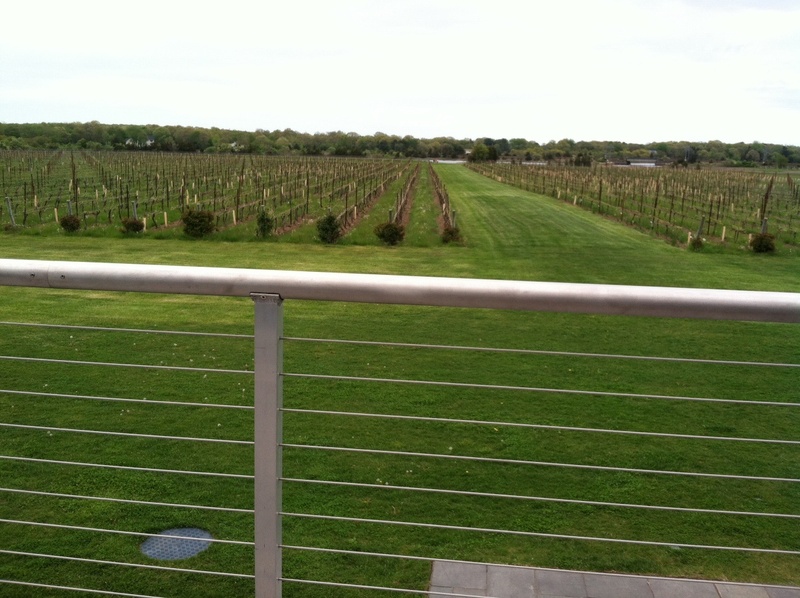 Speaking of Connecticut’s Wine Trail, a few wineries are found in Stonington. With the right timing and planning, it’s possible to visit them all in a single day. 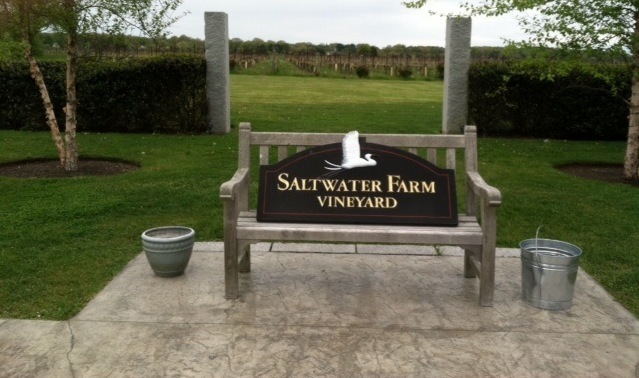 Last Sunday, I trekked up to join an afternoon group meeting at just one of them: Saltwater Farm Vineyard. Like its name, Saltwater Farm Vineyard has both unique surroundings and just as interesting back story. Upon arriving at its location, it’s understandable to think at first whether or not you’re at the right place or if your GPS led you astray. It’s fine and appropriately fitting. The 100-plus acre vineyard borders the tidal marshes of Wequetequock Cove, a saltwater field that provides a nice backdrop setting against an inlet. The exterior also has a link to Stonington’s past, as a portion once used as farm land until the early 20th century. Here’s also where the winery’s story gets neater. In the late 1930s, a small commuter airport opened on the grounds, with a hangar built there, and had operated until the U.S. entered World War II. After the war ended, the airport became a flight school for a few years. Over time, the hanger turned into a restaurant, a warehouse, and a manufacturing facility, and then eventually became abandoned. Its new life as a winery came in 2001, when the property was bought by a lawyer and converted. The former aluminum-sided hanger now houses an open-air tasting room/reception hall with large stainless steel tanks on the ground floor and a second level for bar service with a walkout terrace for overheard views of the vines and surrounding marshland. Here you can also picture what the sight was previously: the airfield. Though its airport days are long gone, the venue still has a grassy landing strip. A server told me that it still is used on occasion. Perhaps for guests flying in? 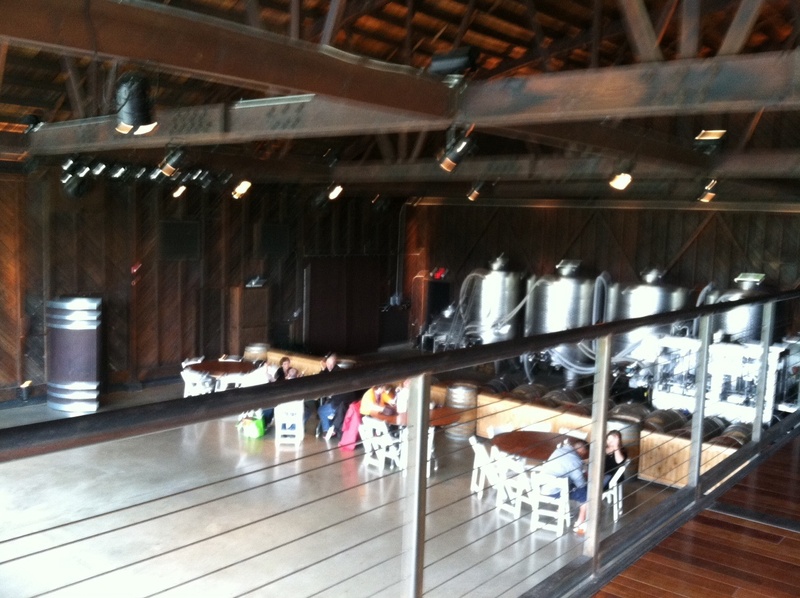 The winery also hosts live music performances on Sundays with a vendor providing fresh-shucked oysters. During my time, tasting notes included a Manager’s Choice, with the selection of the day being a Rose; a 2011 Chardonnay aged in the steel tanks; a 2008 Merlot; and a 2010 Cabernet Franc/Merlot Blend. The later two wines are aged in French oak barrels. Also note: glasses are sold separately. While in Stonington, definitely visit nearby wineries such as Stonington Vineyards, about 10 or 15 minutes from Salt Farms, and Jonathan Edwards Winery, which is in North Stonington and about a 20- to 30-minute ride. 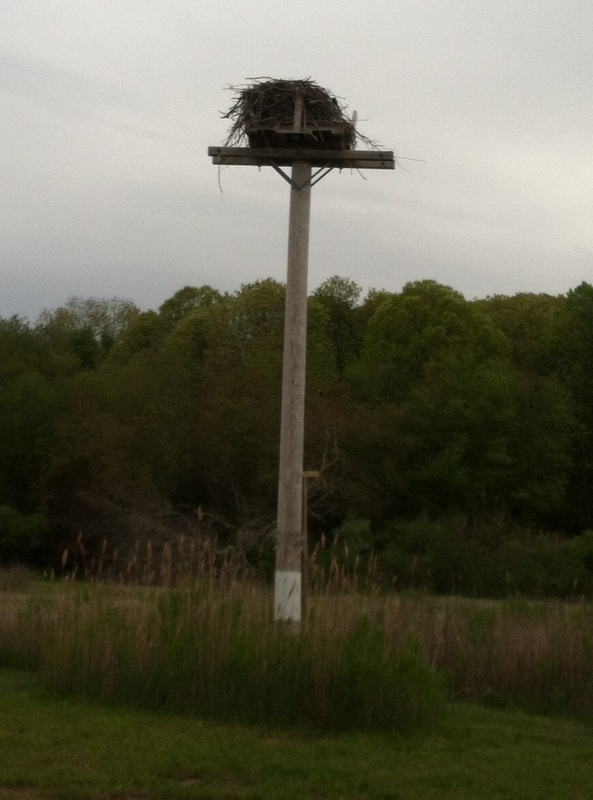 This entry was posted in Connecticut, Food/Wine, Stonington, United States and tagged Saltwater Farm, Saltwater Farm Vineyard, What to see in Stonington, wineries in Stonington on May 23, 2013 by She Is Going Places.